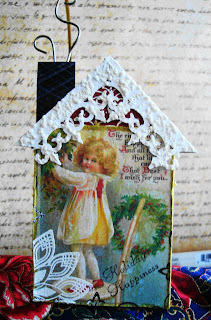 Vada's Blog Stamp Inks and Paper : From My House To Yours. From My House To Yours. and at one time measured 3 ½ x 2 ½.
I have re-cut this to fit my graphic’s. 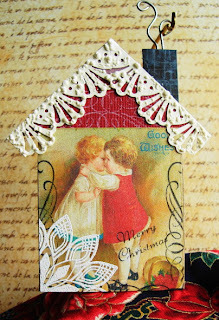 Graphic’s are from Clearly Vintage, Magic Moonlight and Graphic Fairy. Roof is a 45 degree angle and punched with different Martha Stewart punches. 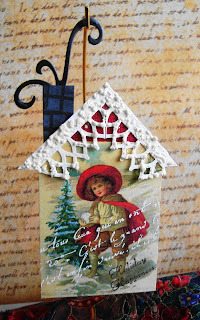 Stamp credits are from Hero Arts, Stampin’ Up, Crafty Secrets and small doily is from Scrappy Cat. Thanks for visiting with me today, have a wonderful day. These are really cute! Love the roof tops! Oh their all so precious. I love how you did the smoke from the chimneys! too fun!!!! 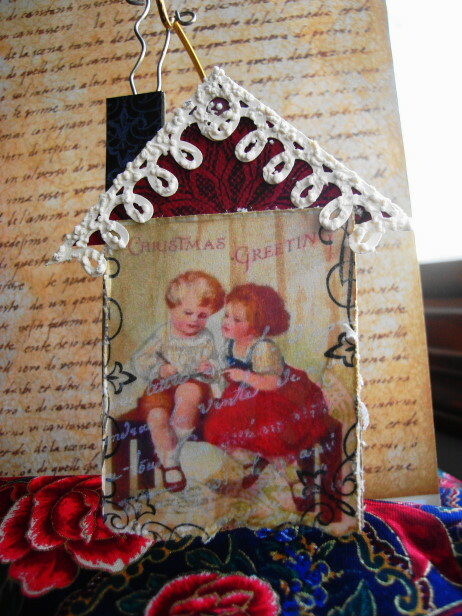 and darling images! These are all so sweet, but I do love the perfection in your roofing job! One talent ball you are! 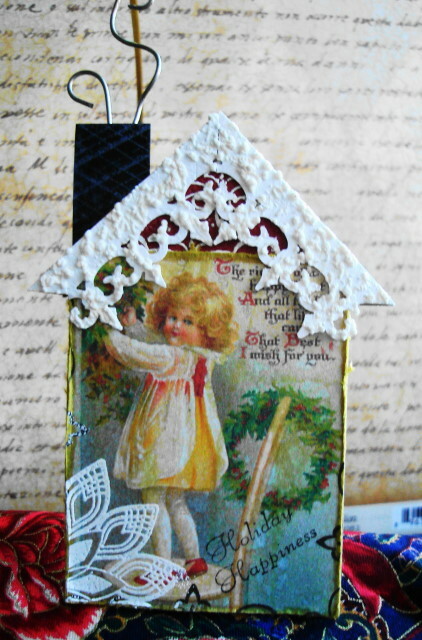 Love these little vintage lovelies! Beautiful! Those lacy roof tops are fabulous.